hd00:19Rare infrared night footage of large Black Bear (Ursus americanus) in southern coastal Georgia open mouth yawn. hd00:11African Rhino in the savannah at dusk, facing the camera. hd00:18Coyote digging, than shakes like a dog. 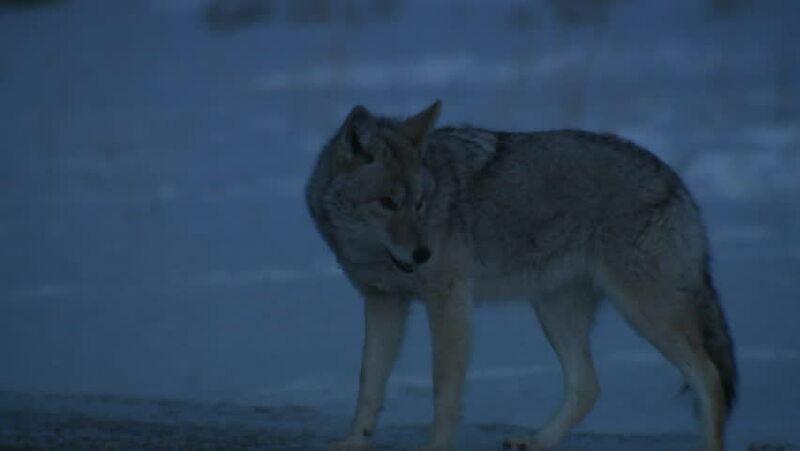 Coyotes often lurk around houses looking for an easy meal. Canis latrans is a wild cunning, adaptive, and successful predator often hunting in pairs or packs.